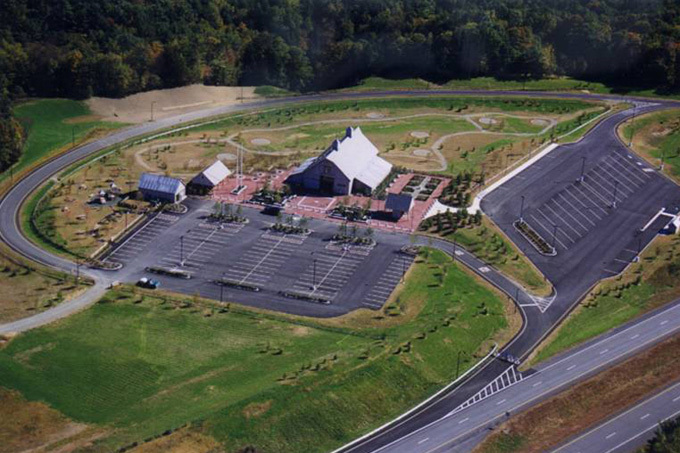 The Southeast Vermont Welcome Center, the major interstate gateway from southern New England to Vermont, was developed on a former gravel pit. T.J. Boyle Associates developed the concept and circulation pattern for the six acre site to include an entry plaza, formal perennial garden, picnic shelter, information kiosk, and a meadow walk exhibiting components of Vermont’s agricultural, industrial, and logging history. T.J. Boyle Associates was directly involved in all of the design decision pertaining to the site from the earliest concept through execution. This project received numerous awards, including an Honor Award from the Vermont Chapter of ASLA, as well as awards from the American Institute of Architects and the American Society of Civil Engineers.